You may have overheard on the grapevine but yes, we’re delivering free brownies from now till the week before Christmas! For the last two years, we’ve been on a mission to save office workers everywhere from stale sandwiches. We’ve made it dead simple to find great food for meetings and events via an online platform that brings together the best small local food businesses to supply delicious catering. And now we want to give back to all our customers past, present and future as well as the rest of the foodie community for all of their support. As a special thank you leading up to the holiday season, our Chewsy Crew will be hand-delivering free boxes of the best brownies you’ve ever tasted to businesses who Tweet, Facebook posts or Instagrams us with the hashtag ‘#YCBrownieBombed’. Send us your wittiest messages, funniest photos or even just a quick hello and we’ll chews the best responses to send some brownies right back at ya! To sweeten the deal, we’re also offering exclusive discounts for these #YCBrownieBombed offices. Included in the brownie packs is a code which enables customers to place future You Chews orders at a discounted price. “It’s really just a nice way to thank some of our existing customers for the support they’ve been providing us and our trusted vendors,” says Liz the Lunch Lady our fearless CEO. 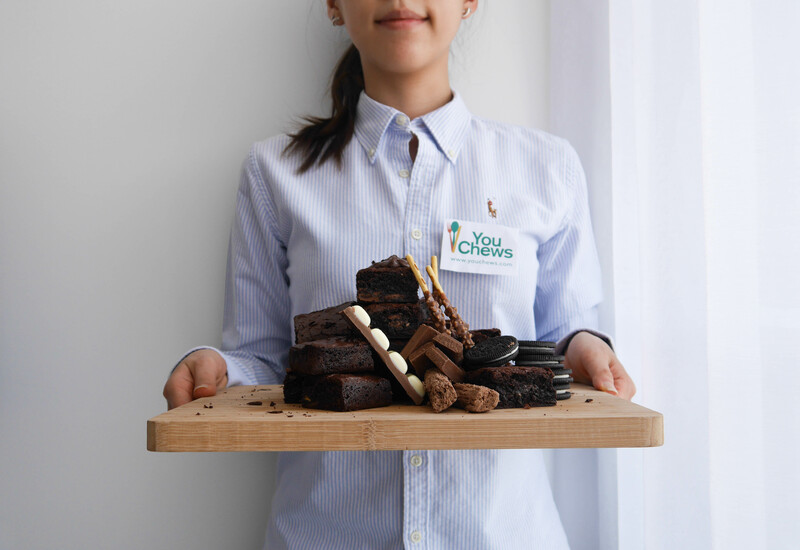 Remember to tweet or tag #YCBrownieBombed to You Chews on Facebook, Twitter or Instagram and you may just be lucky enough to receive a free afternoon sugar hit for you and your colleagues this month. So why not try it to see if a box of these delicious brownies will be sent over to your team with compliments from Liz the Lunch Lady and the You Chews team?